Modern heating and cooling systems continue to use air filters to protect the equipment from dirt and debris. However, these filters aren’t the best at keeping out particles that make it harder to breathe easy in your home. Luckily, there are many types of permanent air filters available today that can keep the air in your home fresher and cleaner. 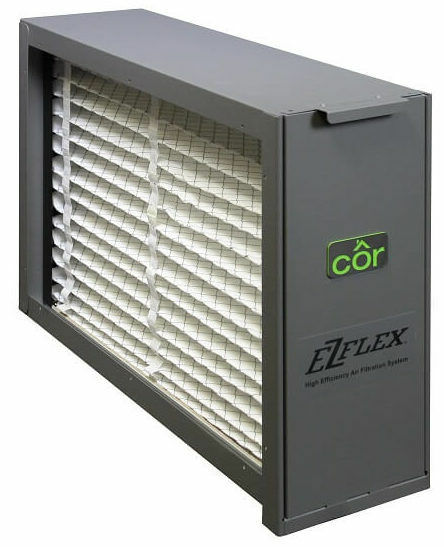 Anyone who has respiratory concerns such as asthma, allergies, hay fever or other breathing problems should consider a high efficiency air filter. At Boelcke Heating and Air Conditioning, we can provide you with the same kind of air filters used in hospitals. We’ll make sure the indoor air quality in your home is healthier for you and your family, and you can count on our technicians to provide you with expert installation and service. Get the high efficiency filters you need for your home, and more, from Boelcke. When you need high efficiency filters from a qualified specialist for your home, you can trust Boelcke Heating and Air Conditioning. We can help meet all your home heating needs, large or small. Simply give us a call at (269) 429-9261, and we will be more than happy to assist you. Very happy with all people who we came in contact with at Boelcke. Fast efficient some the best service I’ve ever had I would recommend you and your company to anyone that needs this type of repair work done Ron the technician we’re completely 100% efficient and telling me what was going on and what needed to be done, Happy New Year. Exceptional service and great people! Chris spent a few hours at our house removing radiators that are no longer properly located due to a home remodeling project. Chris was great to speak with, did fantastic work and was very honest about what needed to be and did not need to be replaced on our boiler system while he has it “offline” during the replumbing project. Would highly recommend Christ and Boelcke for any boiler work you may need done in the future. Took the time to do it right – There was craftsmanship in the installation. Awesome job! Appreciate all that you did! So Nice to Have in Our Home! Each Service person has been so nice to have in our home!